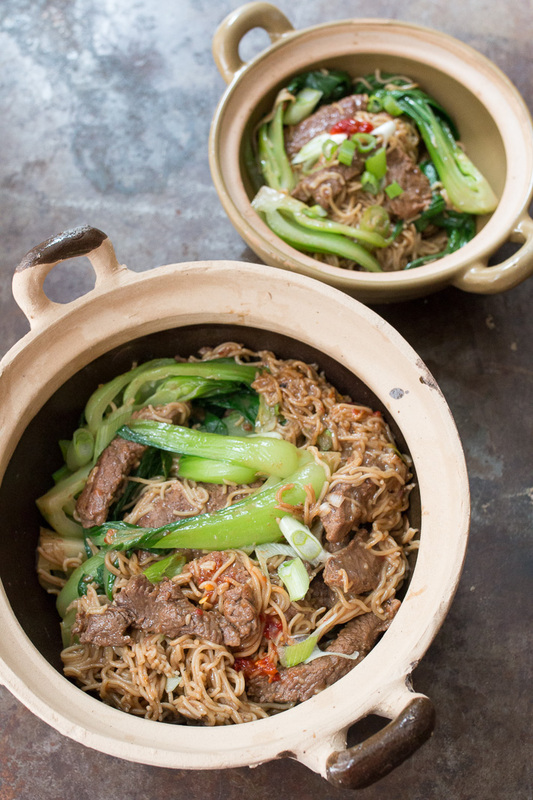 The beef, our star ingredient for this stir-fry came from Gregory Family Farms, a local farm in Halifax County, Virginia. I'd been wanting to try it since this farm specializes in grass fed beef offering quarter, half and whole live shares to customers. For those interested, I've written up a bit more about the farm below today's recipe details. *To clean the bok choy, slice the ends thinly enough to keep the bunch together. Slice thin half length wise and place in cold water to cover. Swish the bok choy back and forth in the water several times with your hands changing the water 1 or 2 times after. Dirt and sand can get down into the stalks of the leaves so it is important to make sure they are free from sand. Nobody likes to bite into gritty vegetables! 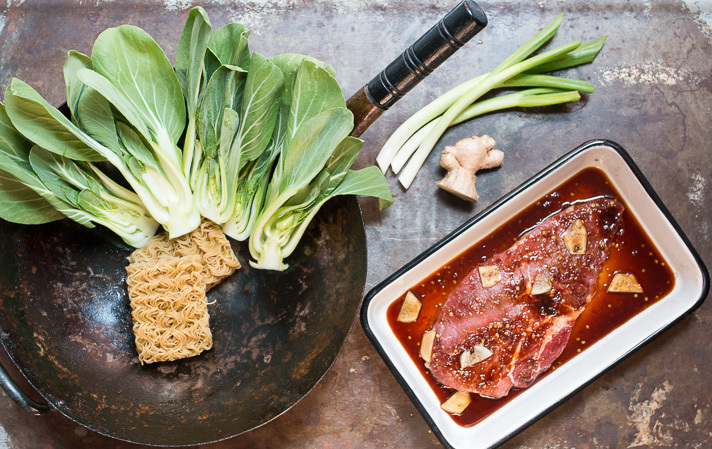 Begin by marinating your boneless sirloin in tamari, sesame oil, Sambal Oelek chili paste, ginger and white pepper. Allow to marinate 4-6 hours or overnight. 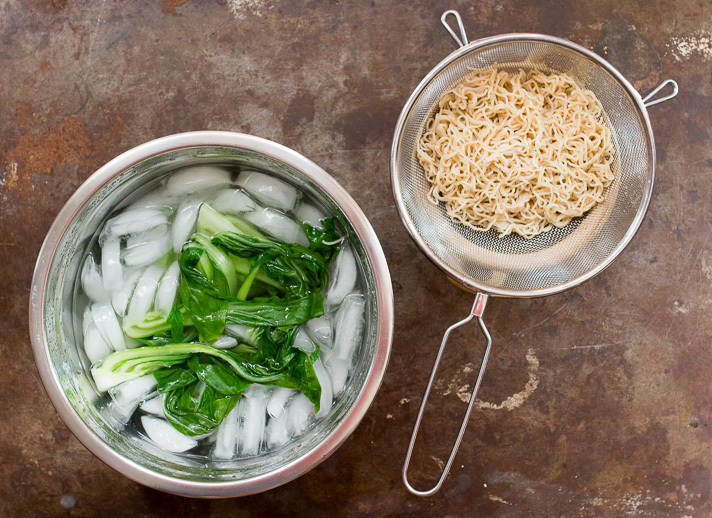 Drop cleaned bok choy halves into a pot of boiling salted water and blanch for 45 seconds. Remove and place into an ice bath to stop the cooking process, then drain. Cook ramen noodles according to package directions and strain through a colander. 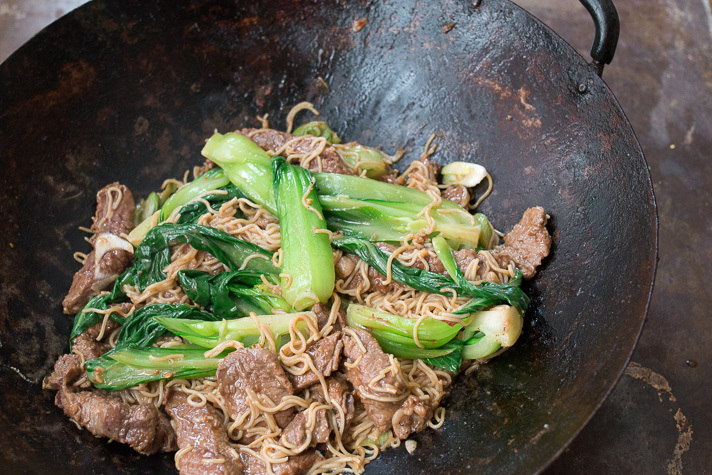 Toss the noodles with a couple drops of the sesame oil and reserve alongside the bok choy. Heat canola oil in a wok or pan over high heat. 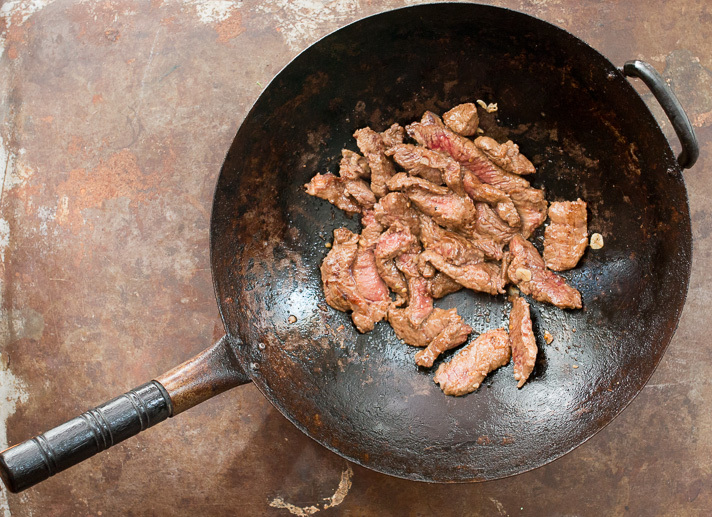 Swirl the shimmering oil to coat the bottom of your pan, add the garlic and quickly stir-fry for 30 seconds. Add the beef and cook for 2-3 minutes, tossing until reaching your desired doneness. 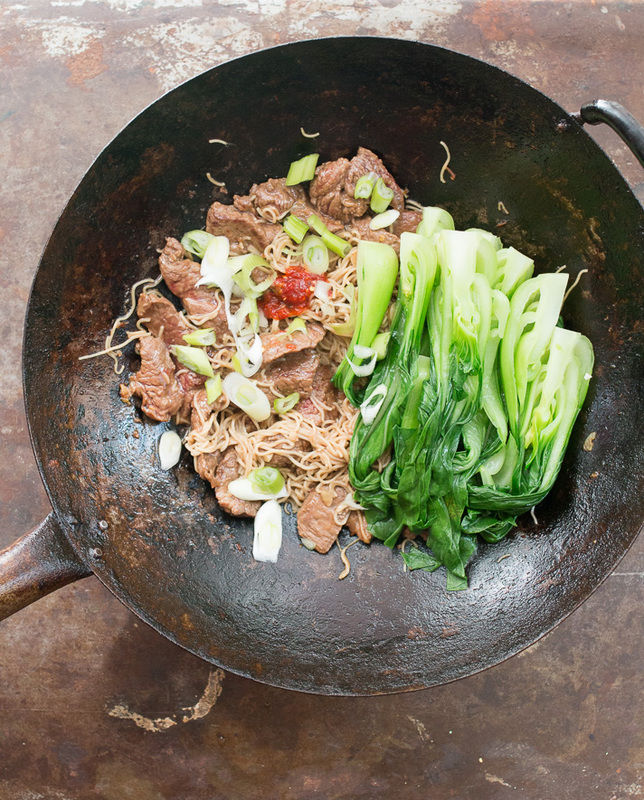 Turn off the heat and toss with noodles, bok choy and any additional chili paste. 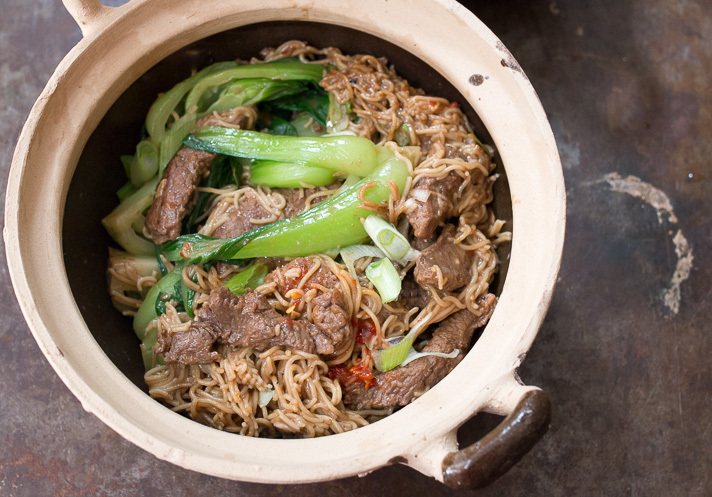 Plate the stir-fry into individual meal-sized bowls and garnish with the sliced green onions. Let's talk a little more about the star ingredient for this recipe (pay attention, there's a giveaway) shall we? 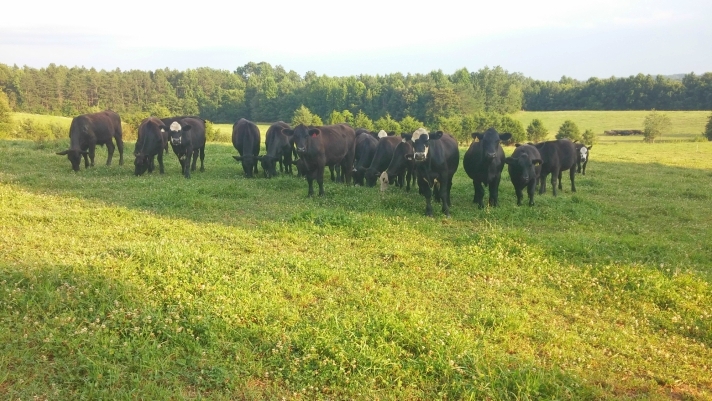 Located in Halifax, VA, Gregory Family Farms, as the name implies, is a small family farm about 70 acres, specializing in pasture-raising Angus, Hereford and Simmental beef. The farm offers quarter, half and whole live shares for consumers. If you are not familiar with how this process works, you are basically investing in a cow at the beginning of the season (spring or fall) and making a deposit at that time. A quarter share would yield 105 to 120 pounds of various cuts that you would normally buy at your grocery. These farm cuts can be picked up at the butcher or better yet, delivered directly to you. The cost for a quarter share ends up being $7.50 per pound and yields about 20 pounds of ground beef, leaving about 90 pounds of other delicious cuts. In addition to beef shares, there's also a fall lamb share, which is sold out for 2017 to give you an idea on the popularity. 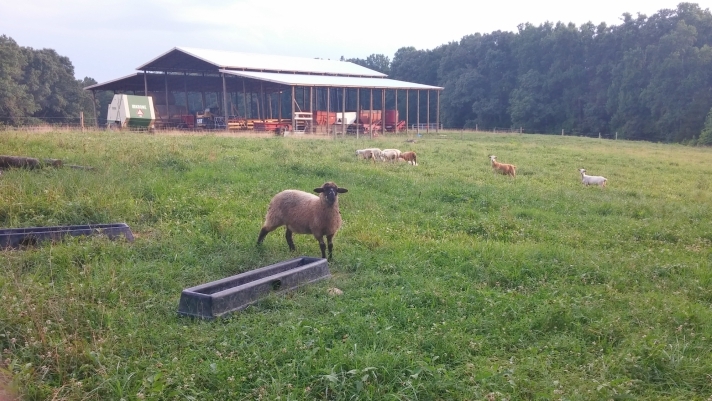 Seasonal farm shares are a great option for supporting a local farmer, keeping money close to your local economy, knowing where your food is coming from and get great tasting meat! A sirloin tip roast and a package of stir fry beef, perfect for the recipe above. A pair of NY strips and a package of ground beef, perfect for tossing on the grill! Keep up with all the Gregory Family Farm happenings on Facebook and Instagram!